Type, Lie Angle, Shaft, Condition will change. Type, Length, Shaft, Condition will change. Type, Length, Lie Angle, Condition will change. For customer to receive 50% Trade-In Bonus, they must purchase one of the products below: M5 (Driver, Fairway, Iron Set), M5 Tour (Driver), M6 (Driver, Fairway, Hybrid, Iron Set), and M6 D-Type (Driver, Fairway). The TaylorMade M5 irons contain an ultra-thin face design with Inverted Cone Technology (ICT) that delivers incredible ball speeds over the entire face area. Also features an advance HYBRAR compression that effectively filters unwanted face vibrations for a soft and solid feel on all shots. 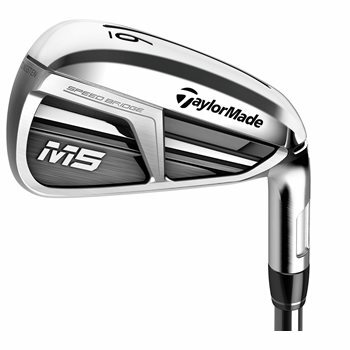 TaylorMade M5 irons have features to bridge the gap between speed and performance of an iron. TaylorMade packs these distance-enhancing elements into a compact shape that better players prefer. Read all about the attributes here. 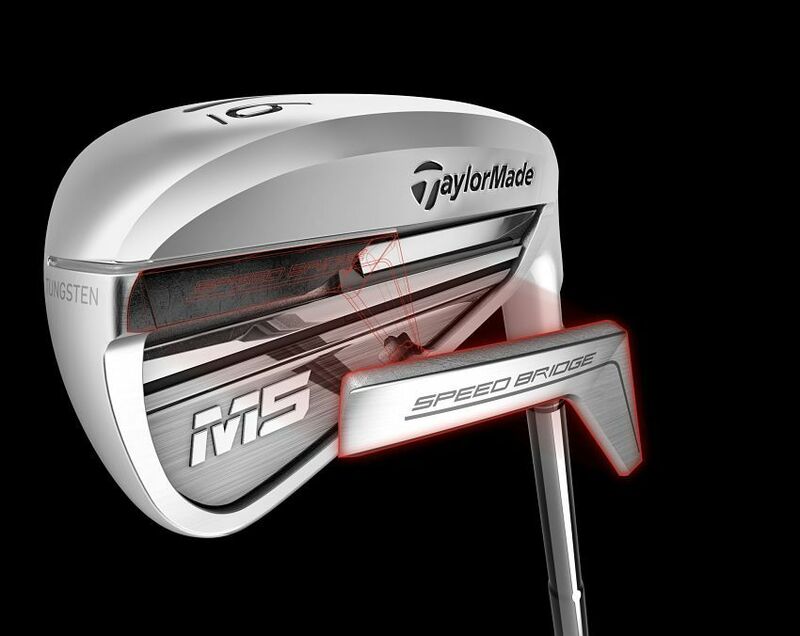 The back of the TaylorMade M5 irons has a unique feature the company calls Speed Bridge. 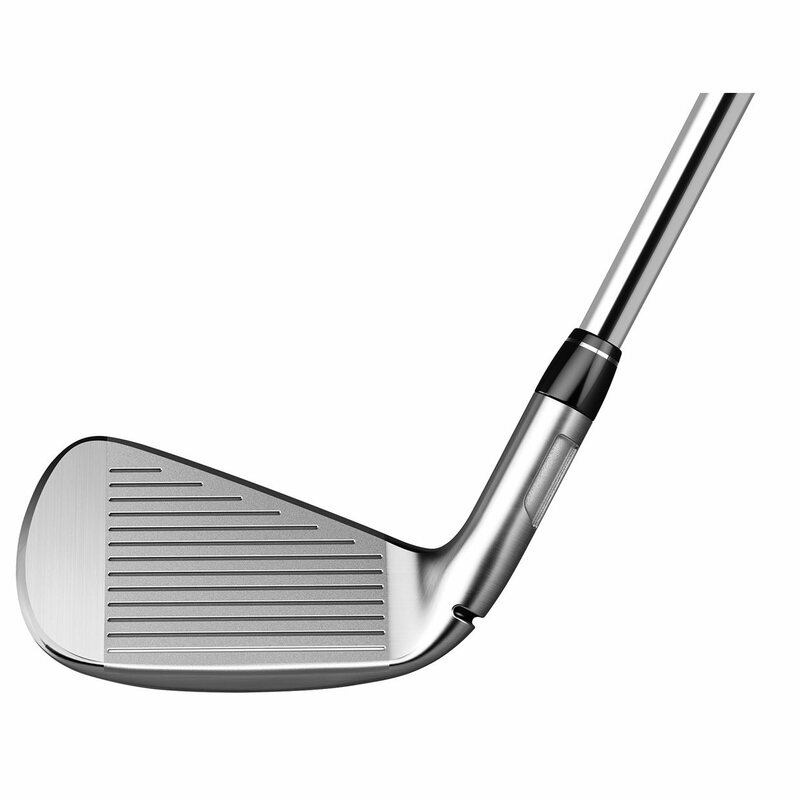 This vertical bar connects the topline to the mass at the sole of the club. It is designed to improve sound, feel, and ball speed. Connecting the Speed Bridge to the topline stabilizes that area of the club, preventing loss of energy at impact. That saved energy is transferred to the golf ball for more distance. Reducing vibrations also benefits the sound and feel of the club. Incorporating the Speed Bridge into the design also allows for the enhancement of the next feature, the new Speed Pocket. The Speed Pocket on the sole of the M5 irons flexes at impact, helping to create more ball speed on all shots, especially those hit low on the club face. This latest version of the Speed Pocket is a thru-slot, which takes more material out of the slot, allowing it to flex more. This design is possible because of the strength and stability the Speed Bridge provides. The Speed Bridge also causes the area of maximum face deflection to lower. 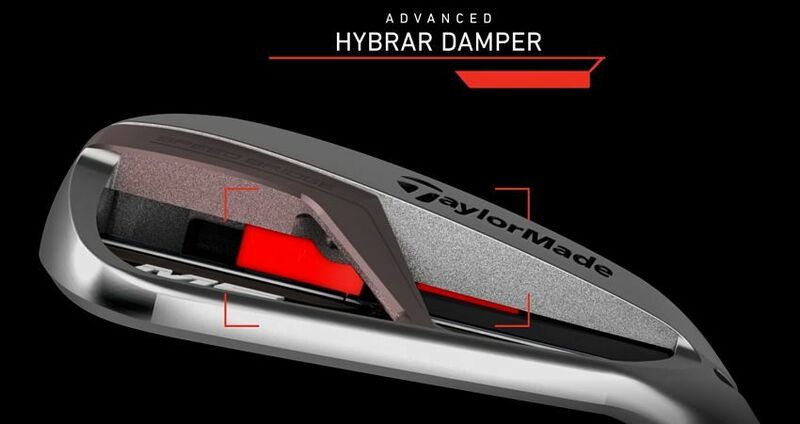 TaylorMade’s answer to this issue is the HYBAR compression damper. The multi-material structure activates at impact to reduce the vibrations at the deflection point, taking the “sting” out of your hands and making nearly every shot feel flushed. M5 irons are packed with several other proven technologies to boost performance. 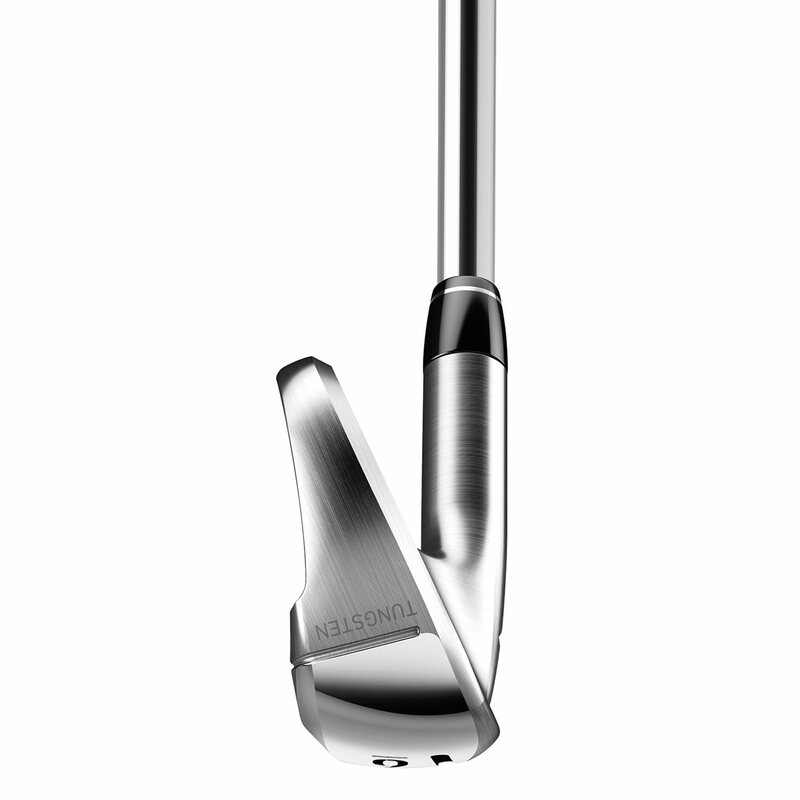 Inverted Cone Technology varies the thickness of the face, making the irons more forgiving by increasing ball speed on mishits. The topline has a 360-degree Undercut, where the face wraps around the top line to help the face flex more at impact and optimize CG location. 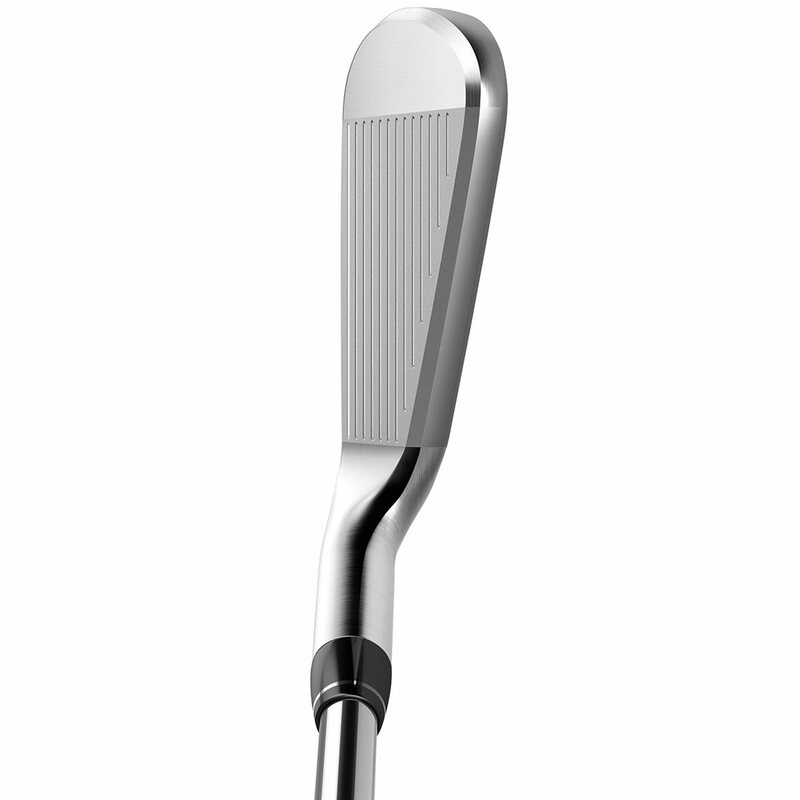 The hosel features Fluted Hosel 2.0 technology. Material is shaved out of the hosel to save weight, redistributing the weight around the club head to optimize CG location and raise MOI. 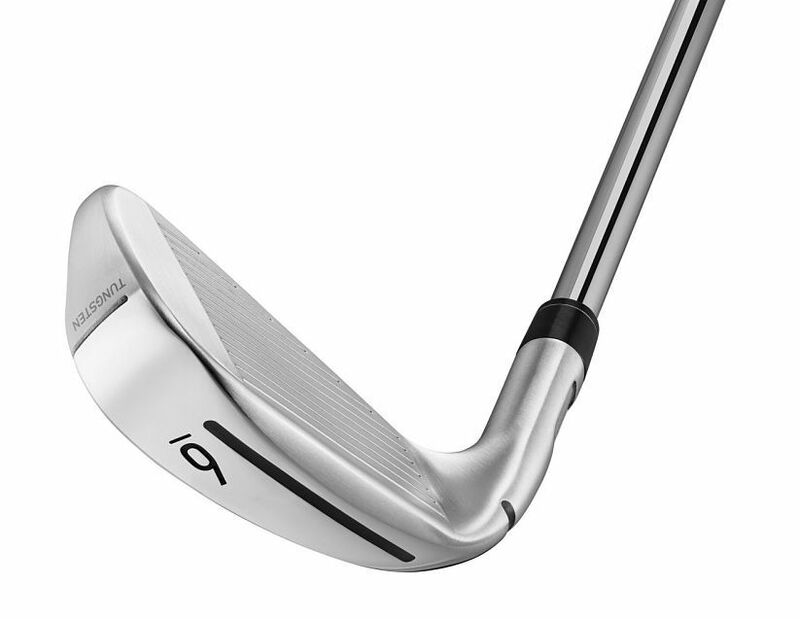 This feature also has aerodynamic properties, helping the club glide through the air easier and moving faster. 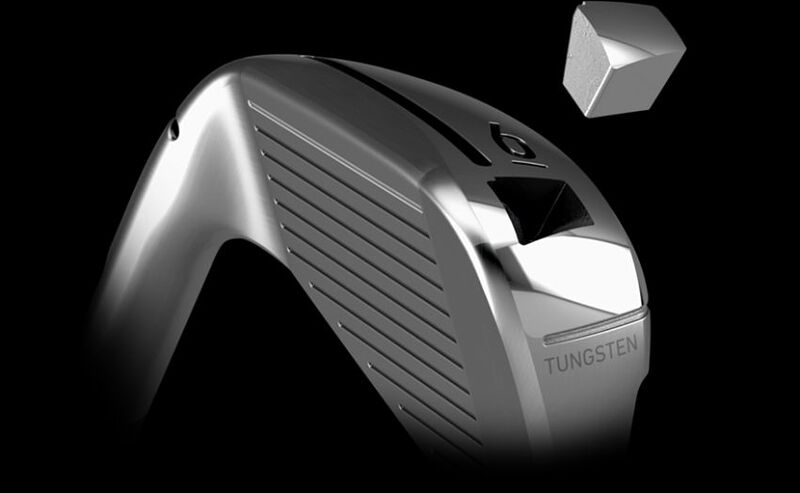 A tungsten weight in the toe of the M5 irons places more mass on the perimeter of the club, increasing forgiveness. Below are the stock specs, shaft, and grip found on the TaylorMade M5 irons.